Is writing a novel on your bucket list? One of your New Year’s resolutions? Something you want to do someday but the idea of crafting all those words seems a bit daunting to tackle just now? I get it. There’s a big gulf between “I want to write a book” and “I wrote a book.” The good news is there are steps you can take that will help you cross that gulf. You can do this. 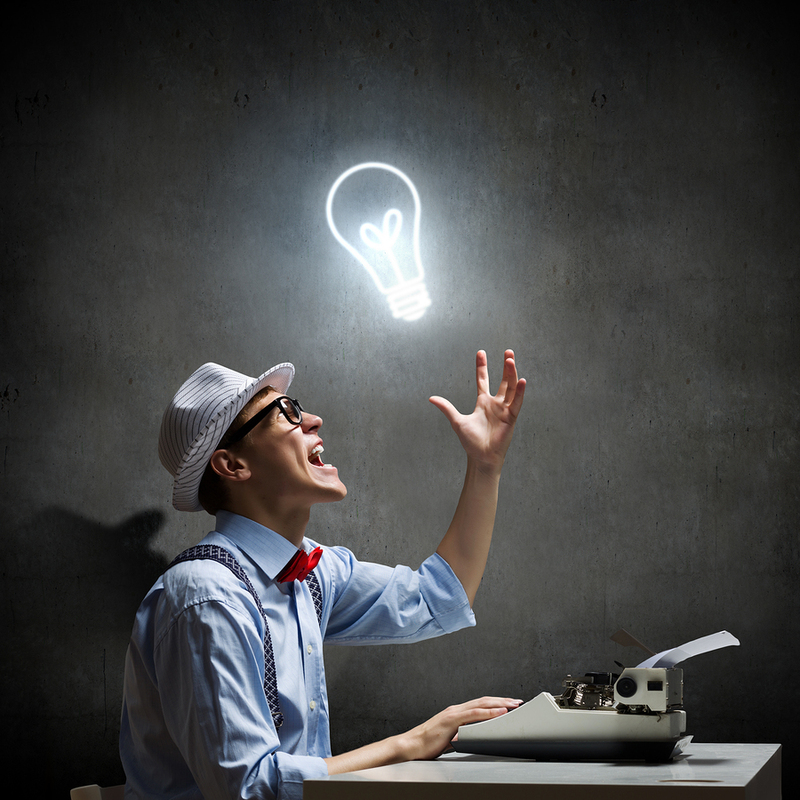 Here’s how you build those novel-writing muscles. 1. Establish a habit of writing fiction. Just like someone trains in an Olympic-sized pool before attempting to swim the English Channel, aspiring novelists can benefit from training their brain to write fiction on command. Here’s what to do. Select and commit to a daily time to write fiction. Even just fifteen minutes is enough. The important word to focus on here is fiction; your morning pages or your journal entries aren’t going to strengthen your creative writing muscles. Choose a time that’s sustainable for you. First thing in the morning with your coffee? Last thing you do before bed at night? Right after lunch? Any choice that works for you is fine, but select a time that you can hit consistently, every day. Give yourself toys to play with. Invest in a book of writing prompts for fiction writers, or bookmark a few websites that have creative writing prompts that appeal to you. If you can, find a book chock full of prompts geared to the kind of story you like to write. Select a new prompt every day, either at random or by looking through them until you find one that appeals to you. Then set your timer and write. Don’t let your inner critic in; this isn’t the time to worry about your grammar or spelling. This is your time to play. It doesn’t matter if you write by hand or on the keyboard or via dictation. The point is to get in the sandbox and start building castles. You can keep going after the timer goes off, but don’t allow yourself stop before it does. This practice does two very important things. First, it trains your brain to be creative on command. Daily practice cues your mind to understand that you’re going to be generating stories out of thin air every day; it builds your creative muscles so that when the time comes, you trust yourself to create a whole novel. William Faulkner is widely attributed as saying, “I only write when inspiration strikes. Fortunately it strikes at nine every morning.” With a bit of practice, you too can be so regularly visited by the muse. The second important benefit of this practice is that it gets you in the habit of putting words on the page. It takes 40,000+ words to write a novel. I bet that you can easily write 500 words in your fifteen minute sessions. That’s two handwritten pages. Forty thousand words is daunting, but if you get in the daily habit of cranking out 500 words, you can write a first draft of your novel in three months. 2. Plan your novel before you write it. Novels are big, complex stories. Our favorite novels are populated by amazing characters whom we love (or love to hate) and who take up residence in our brains like family. Novels are more than just a single idea; they are an idea that is nurtured and grown into fullness. They are the culmination of hundreds of choices and actions. They take a lot of creative brain power. I don’t say this to intimidate you, but rather to convince you that making a plan for your novel is a good idea. A plan for your novel is like the sketch that allows the painter to create his masterpiece. He may not know how exactly he’s going to do the detail work on the subject’s beard, but he knows where the beard fits into the big picture. A plan enables you to make key decision about the who, what, when, where, and why of your novel before you sit down to write “Chapter One.” Making decisions about your story ahead of time makes the writing easier because you won’t be staring at the screen trying to dream up the next part of your story during your writing time. Your fingers will instead fly over the keyboard because you know what happens next and now you get to show it in stunning detail. That is to say, choose your genre. Genre is a promise to the reader about the kind of story they’re going to experience when they read your book. Fantasy books promise wonder and growth—both for the main character and the fantasy world itself. Mysteries offer puzzles for the reader to try to solve. Romance offers escape and promises a happy ending. Literary fiction provides the space for deep introspection and revelation. What kind of story do you want to tell? Choose a genre that suits you, and understand with that choice you have a promise to keep. Who is your main character, what does s/he want, and who or what gets in their way? Whoa. That’s a loaded question. Answer this one in complete detail and you’ll be well on your way to crafting the plan for your novel. Your main character must want something, and someone or something must stand in their way. I can’t think of a single satisfying story where those criteria aren’t met. Your detective wants to solve a murder, but the killer doesn’t want to be caught. Your hero wants to complete the quest and win the queen and kingdom’s undying respect and gratitude, but a powerful dragon doesn’t want to give up his treasure. Your heroine wants to be a good mother, but the demons from her own past won’t let her be present for her son. Each of these examples comes from a different genre and yet they all conform to the idea that a main character must want something and be obstructed from fulfilling that desire in order to create a strong and satisfying story. Remember that setting encompasses both time and place. Is your mystery set in 1930’s Los Angeles or present day London? Think about the difference in technology available to your detective based on that choice. Does your fantasy take place on Earth as we know it with some magic thrown in or will you be creating an entirely new world? Your setting is an important part of crafting the plan for your novel because it helps you to understand your characters and their world. A character can’t truly come to life until we understand when and where they live. Wow. Those are huge, important questions to answer and once you’ve done so, you can begin to fill in the details of your plan. Notice I haven’t even mentioned plot yet? That’s because the plot of your story consists of the actions that reveal your characters, their setting, and their driving conflicts. Because of this, it should be the last thing you think about. Now for the plan. There’s no one way to do this. There’s no right way or wrong way. There’s only the way that works for you. You may need to try a few different methods before you land on one that resonates with you. That’s okay. Part of the beauty of writing as an art form is that you don’t have to show your work to the world until you’re ready. Your readers never have to know how the sausage is made. Some writers have an innate sense of plot and could go from answering those questions to writing their first draft. I’m not one of those writers, and if you’re attempting to write your first novel, I suggest you dive into a bit more detail before you start to write your first draft. Here are a few ideas for you to try. Make notes, and tell yourself the story. This doesn’t have to be pretty, and you can load it with whatever details you want. You might need to attempt telling yourself the story through several drafts, with each draft getting a bit more detailed until you really understand the whole story. Here are some options for capturing your ideas. Create a spreadsheet or use a program like Aeon Timeline to manage the details of your story. Plot out what happens, where, to whom, and what the results are. You might break out your sticky notes, using a different color for each character, and create a rainbow of story events on your office wall. It might be more helpful for you to create a mind map or a vision board. Write a full-blown ABC 123 outline for your book, starting with the major turning points and filling in the details until you know all there is to know about the who, what, where, when, and whys of your book. Draw a bell curve on a large piece of paper. Decide what the big conflict of your novel is, write a note about it at the top of the curve, and work your way out from there. What happens before the conflict? After? No matter how you create your novel’s roadmap, having one will make the journey easier. There will still be plenty to discover on the path; the writing itself will still be a delight—maybe even more so when you can fly through the words because you have a writing habit in place and you know where you’re going.